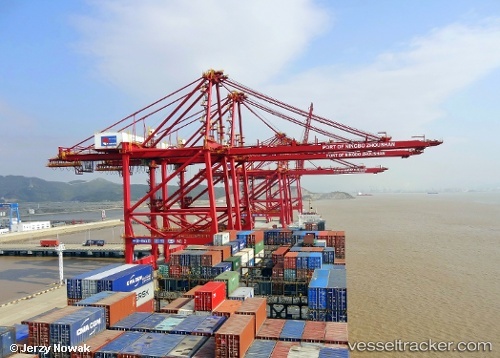 Following the strategic agreement signed between COSCO Shipping Heavy Industry Co.,ltd(CHI) and GTT last year, as a part of the plan, CHI and GTT have signed the Technical Service Agreement(TSA) on November 8 in Shanghai during the first CIIE. TSA is well recognized by world’s LNG shipping companies, is considered as the “ticket” of a shipyard stepping into LNG carriers’ repair & conversion field, which proves and qualifies the shipyard’s capability of undertaking the repairs and conversion of a membrane type LNG carrier. In this July, GTT had worked together with CHI Guangdong shipyard on a Mark III type LNG carrier “LNG Lucia Ambition”, the project was the first LNG carriers that a Chinese shipyard has ever done with intensive membrane type cargo tank repairs, and was completed very successfully meeting the satisfaction of all parties. Chinese gas distributor ENN Energy Holdings has begun operations at the first phase of its Zhoushan liquefied natural gas (LNG) import terminal, Vice President Ma Shenyuan said, speaking at a commencement ceremony for the terminal on Friday. As ENN aims to ramp up winter supplies in eastern China, the tanker ‘Asia Integrity’ docked at the Zhoushan terminal on the same day, bringing 145,000 cubic meters of LNG from Australia supplies to mark the launch of China’s first privately-owned LNG facility. ENN has signed long-term deals including sales and purchase agreements with Chevron Corp and Australia’s Origin Energy and also has an agreement to buy LNG from Total . The deals total about 1.5 million tonnes per year of LNG.